Advanced Hearing Solutions is a proudly independent audiology practice. We work with a number of different hearing aid manufacturers to ensure that you are optimally fitted with hearing aids. Depending on your level of hearing loss and your lifestyle requirements, our experienced clinicians will recommend hearing solutions that will best meet your needs. For more information, please click here for more information on the different types of hearing devices. The behind-the-ear component can vary greatly in size. The size can depend on a number of factors such as; hearing levels, comfort for the user and sophistication of the technology. This style uses a thin discreet tube to direct sound to your ear canal. This style does not necessarily require the use of an ear mould. An open-fitting is generally more suitable for high-pitched hearing loss. This style uses a thick tube with a mould. The standard BTE hearing aid is used for hearing losses ranging from moderate to severe, and the behind-the-ear component is smaller than the High Powered BTE. This Behind-The-Ear style is larger than the standard BTE style. These hearing aids are more powerful and are suitable for those with a severe to profound hearing loss. This style is fitted using a thicker tube and ear mould. 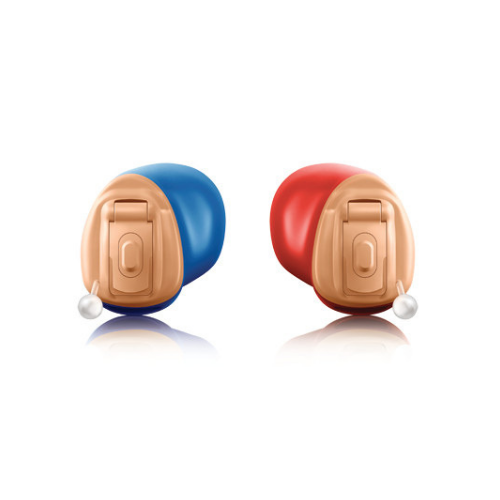 The receiver-in-the-canal style hearing aid is similar in appearance to the behind-the-ear hearing aid. 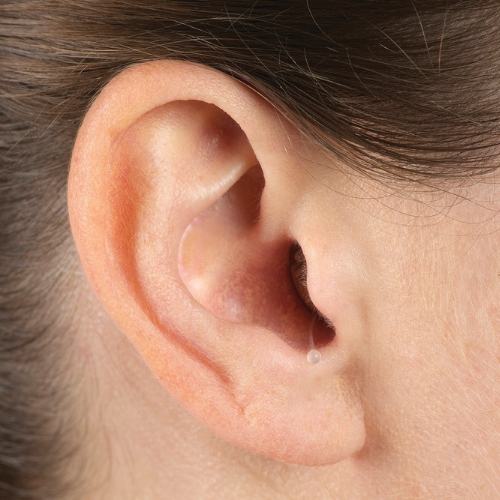 However, the portion behind the ear tends to be smaller in size and is barely visible when worn. 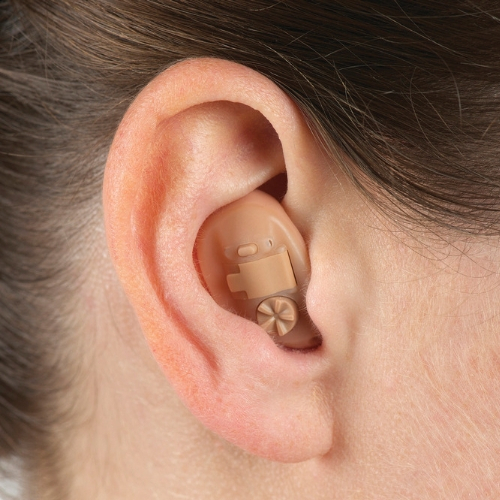 The RIC style hearing aid is an instrument where the speaker sits inside the ear canal. Instead of a plastic tube, thin electrical wires are used to transmit sound, thereby reducing distortion and increasing clarity. RIC hearing aids are usually fitted using an open-fit style without a mould and are suited for mild to moderate hearing losses. 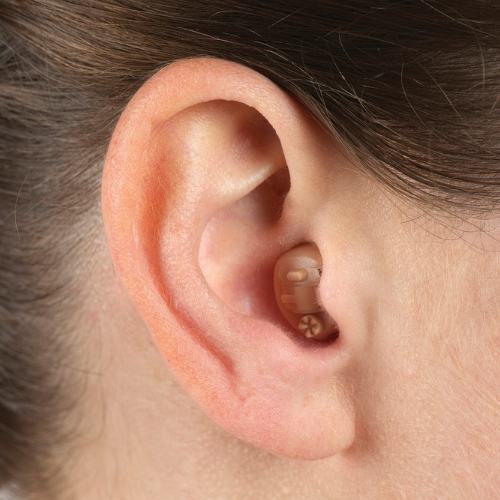 The main body of these hearing aids (first photo) sits in the bowl of the outer ear, with a portion extending into the ear canal to direct the sound into your ear. ITE hearing aids are the largest of the custom devices, but they also have the most flexible fitting range and can suit mild to severe hearing losses. ITC hearing aids (second photo) are slightly more discreet than the ITE style hearing aid, with a smaller portion showing in the outer ear. In-The-Canal hearing aids are more suited for mild to moderately-severe hearing loss. CIC hearing aids (third and fourth photos) are a discreet hearing aid option and are custom made to fit in your ear canal. 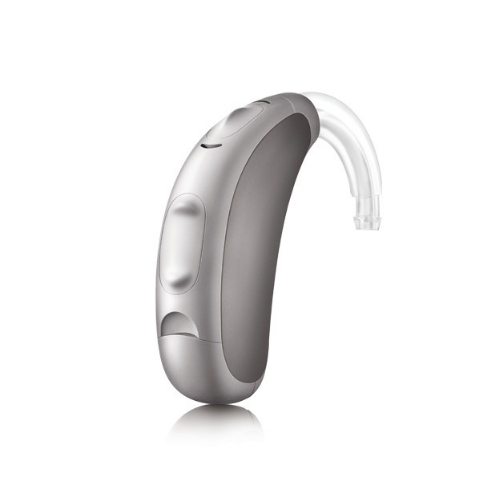 CIC hearing aids are suitable for mild to moderate hearing losses. This style may not be suitable for people with very narrow or ‘bendy’ ear canals, or those who have difficulty using their hands. 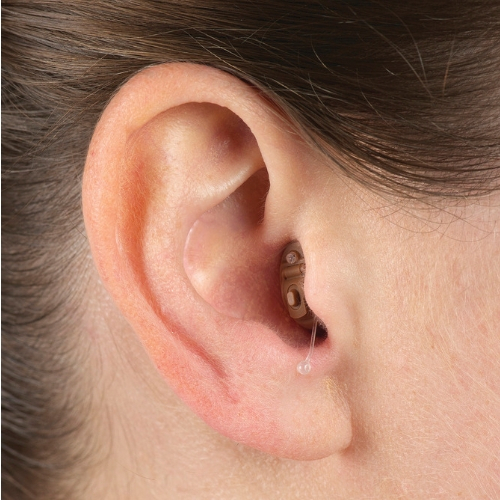 The IIC hearing aid (last photo) is custom made to be inserted farther into the ear canal than other styles, so it’s completely invisible when worn. IIC hearing aids are designed to be removed daily to promote good ear health. IIC hearing aids are suitable for mild to moderate hearing losses. This style may not be suitable for people with very narrow or ‘bendy’ ear canals, or those who have difficulty using their hands. If you have hearing loss you can be fitted with either a hearing aid or an assistive listening device (ALD). 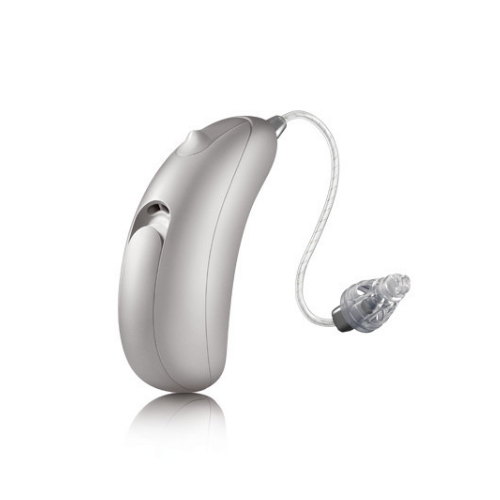 An ALD may be suitable for those that are not able to manage a hearing aid, if they only want to hear better in a specific situation, or if for another reason a hearing aid is not suitable. For more information, please visit the Office of Hearing Services page, or click here for more specific information on the different types of ALDs.